A documentary about the legendary Formula 1 team's owner, McLaren is methodical and surprisingly bland. 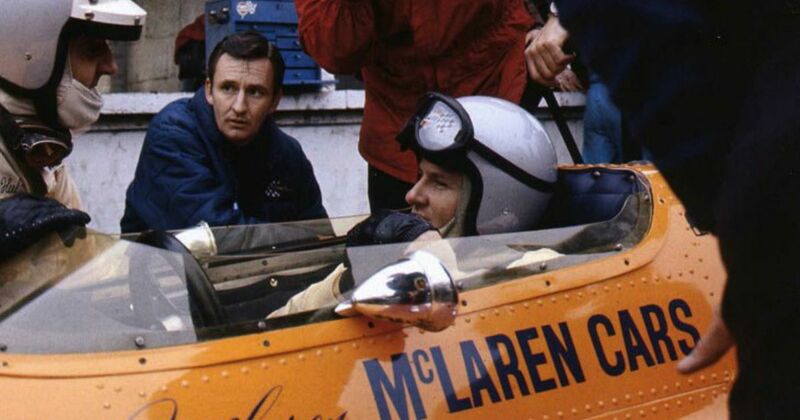 Directed by Roger Donaldson, McLaren is an old-fashioned chronological overview of Bruce McLaren's life. From humble beginnings as a New Zealand garage-owner's son to the pinnacle of international motorsports, the film tracks McLaren's career through interviews with friends, family members, archival footage and plenty of recreations. A voice actor also reads out McLaren's words from the many letters he wrote back to his family while chasing his dream across the world. The film paints a picture of McLaren as an innovative engineer, car designer, ace racer, team leader and all-round decent bloke, loved, respected and admired by all, with a phenomenal ability to multitask. He overcomes the tragic death of teammate Timmy Mayer and uncompetitive seasons to bounce back and continue his charge towards creating his own F1 team. The documentary also spotlights a few of his milestone drives and races that helped establish his reputation at home and abroad. But McLaren the film drives too close to puff piece territory. The What, When and Where are here, but not so much the How and the Why. Bad days and heartaches are portrayed as minor speed humps on the path to glory. No one has a bad word to say about anything. No frustrations emerge, no emotions are portrayed beyond admiration. Donaldson does not scratch below the surface in pursuit of any technical or personal issues related to the man, the family, the team or the sport. This is a controversy-free testimonial offering little insight beyond a basic Wikipedia article. At the time of his untimely death in a testing accident aged 32, McLaren's team was competitive on three different fronts on two continents separated by an ocean, his cars racing in Formula 1, the Can-Am series and the Indianapolis 500. An undoubtedly remarkable man, he deserves a less vanilla and more in-depth and emotionally involving tribute.